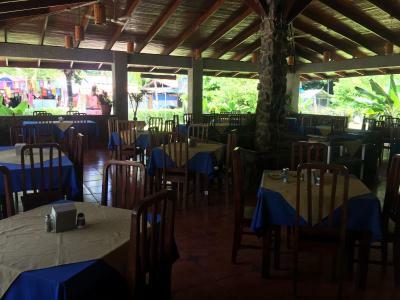 Hotel Hotel Manuel Antonio by National Park. The best location! You can walk to the park and the main beaches. The property is literally at the entrance to the park so staying here to see the park makes sense since you have to be there super early to get in. Also close to the beach. Our room was very clean, had a bathroom, fridge, and AC which was really all we were looking for. There’s definitely no view at this hotel, unless you like people watching. But for the price, the cleanliness and location next to the park(less than 5 min walk to the park’s entrance) are perfect. It had air conditioning and a small fridge!! Pretty much the best part! Beds and pillows were comfortable. The food in the restaurant was expensive and the parking lot was not safe. Extremely convenient right next to the MA park. Nice pool, close to the beach, several cafes and restaurants nearby. Recommended. Been to this hotel many times. Location is great for those who want easy access to both the public and the state beach parks. Staff is friendly as usual. AC working great. TV too. 2 big beds. A fridge. Can’t complain. After a horrendous stay in a hostel in Jaco, this was a godsend. The room was immaculate, spacious, mini fridge was key, and AC was perfect. 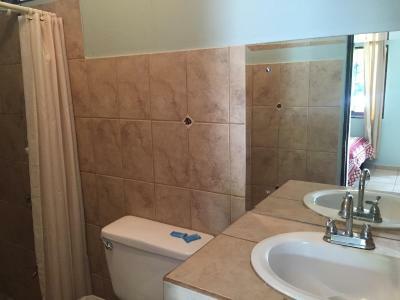 Location is walking distance to the park, and there's free parking on premises. If you can swing it though, go eat and shop in Quepos, everything is significantly less expensive. 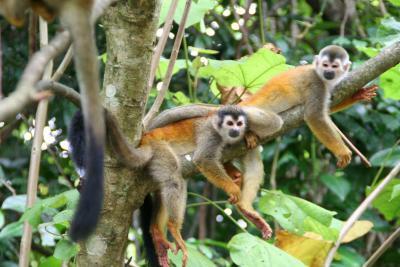 Bonus, we regularly saw monkeys while walking to the beach! We liked being a bit out of the noise of the main town and the nice walk to get to there. We felt safe. The visit felt like going to see relatives; great hospitality. All questions answered. Beautiful scenery and landscaping. Would stay there again during next visit! 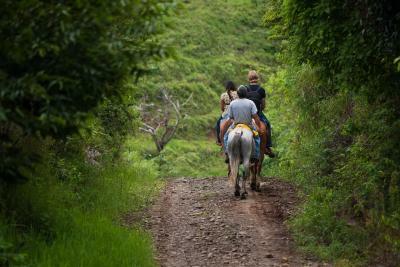 Set a 3 minute walk from Manuel Antonio National Park , Hotel Manuel Antonio by National Park. 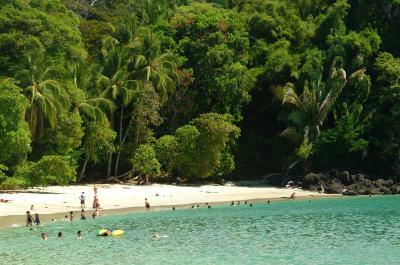 In Manuel Antonio features an outdoor swimming pool and garden. Featuring a tour desk, this property also provides guests with a restaurant. Both free WiFi and private parking are accessible at the hotel. 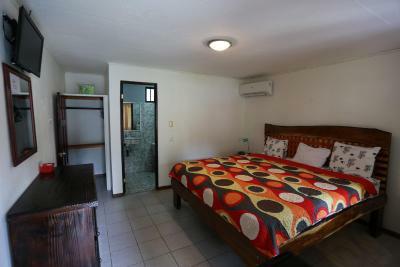 At Hotel Manuel Antonio by National Park, every room is fitted with a wardrobe. 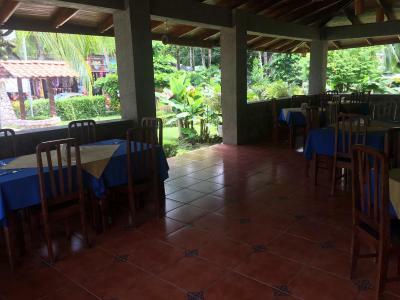 Every room is equipped with air conditioning, and certain rooms are fitted with a patio. 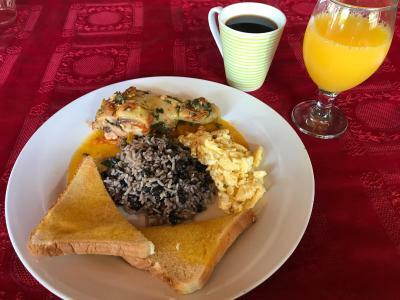 Hotel Manuel Antonio by National Park is just 10 minutes by car from Quepos town the closest airport is 2,5 hours Juan Santamaria International Airport. 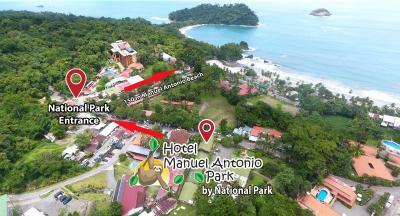 When would you like to stay at Hotel Manuel Antonio by National Park.? 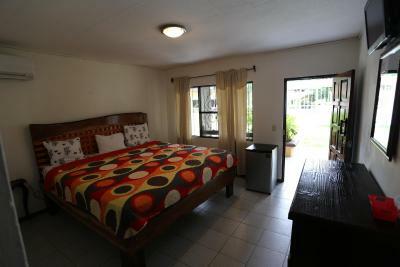 This double room has a seating area, patio and air conditioning. This quadruple room has a seating area, patio and air conditioning. 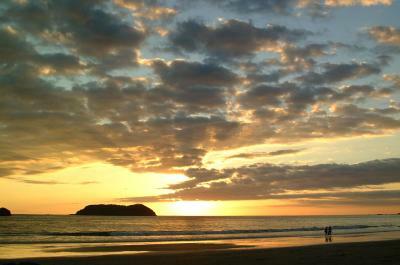 4 reasons to choose Hotel Manuel Antonio by National Park. 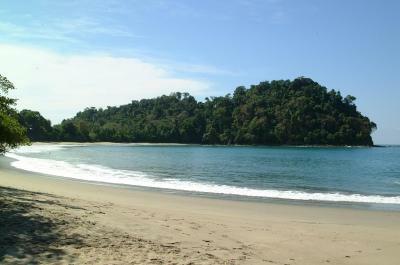 Facilities of Hotel Manuel Antonio by National Park. House Rules Hotel Manuel Antonio by National Park. takes special requests – add in the next step! 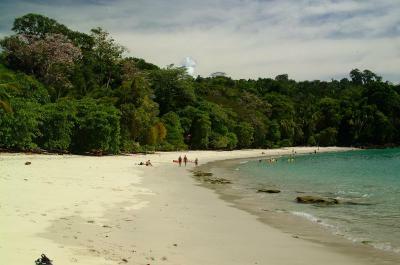 Hotel Manuel Antonio by National Park. accepts these cards and reserves the right to temporarily hold an amount prior to arrival. 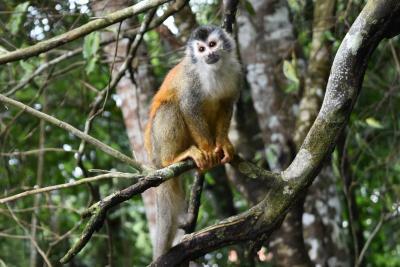 See all guest reviews for Hotel Manuel Antonio by National Park. 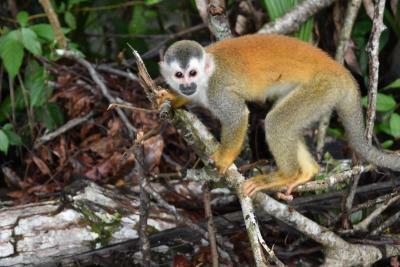 Newest Reviews for Hotel Manuel Antonio by National Park. Moho en las paredes del cuarto. Acabados de calidad media-baja. 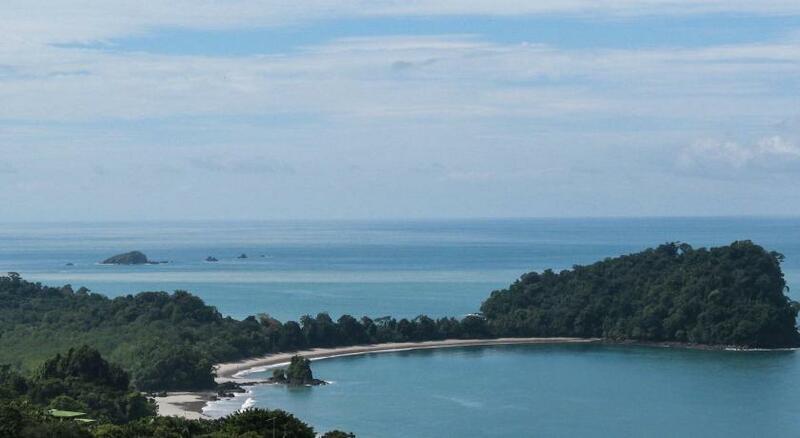 So close to the Manuel Antonio National Park! Close to everything and free easy parking. Big comfortable bed, decent sized fridge in the room. Clean room. Very nice pool and helpful staff. Good air conditioning. 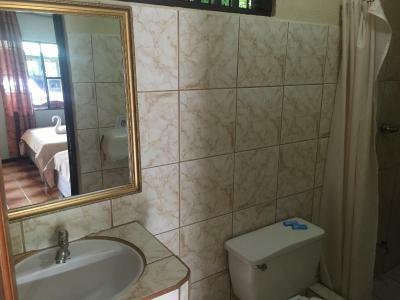 Excellent location, 100 m from the park. Friendly staff. The pool was so dirty it was unusable, the room was super outdated and the bed was uncomfortable. There was no hot water from what I could tell. AC was new and worked well and the room was very clean. Our tv didn’t work but we didn’t bring it up to the staff because we were just turning it on to distract our baby while we unpacked, so we don’t know if it could’be been fixed. There is a bit of noise from the restaurant at night and the parking attendants trying to get people going into the park starts at 7 am on the dot. Luckily we’re hard sleepers but just FYI. We stayed for one night the room wasn’t ready even though we got there after the checkin time. we had lunch in the restaurant and it was not clean at all I got sick with the food. the guy that was in the reception on Sunday, February 17 was very nice and helpful. The pool was very dirty and smell . nobody was there for the checkout, we left our bags there and went to the beach while we waited for the shuttle so when we came back we ask if they could use the shower from the pool to take the sand out of our feet, but the guy from the reception on Monday was not helpful, he said we already left so we could use the bathroom in the restaurant (that had bottled water to wash your hands..) Don’t stay here, there are many nicer and cheaper places than this. Park for externals just outside the gave noise and noise. Souver shops at the road very noisy til late. Outdated. Language barrier. Bathrooms were hot and humid due to no AC throughout. Daily house keeping. Air conditioning in bedroom. Room at the parking place of the NP National Antonio. Only a noisy airco. No windows can be opened. Outdated and to expensive. No buffet. Choice from menu. Breakfast not included.